Collect the flowers and build the monster. They're very similar, thematically. Once again I’m going to fill a gap in postings here with a couple of recommendations, one new and one very old. First up, I was visiting family in That England recently and my brother’s fiancee asked for app recommendations for her iPad. 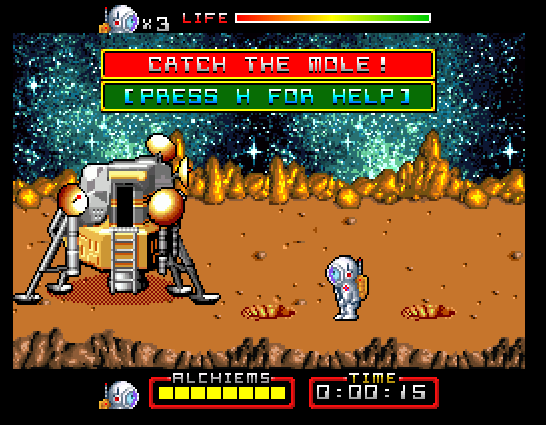 Now, whilst I can remember the details of a text adventure a mate was going on about twenty-odd years ago (long story) I couldn’t recall any of the dozens of iProduct apps I’d seen recommended recently bar the ZX Spectrum emulators, and I doubt she’d have been interested in that. “Oh, hand on” says I, something emerging from the fog of recent memory, “there’s one called “Forget Me Not”, or something like that.” So she goes looking for it on the app store and there it is for a very reasonable price. It gets downloaded and we all have dinner and, afterwards, I decide to pick up the pad and have a wee shot. I was picking up that iPad a bit too much over the next couple of days. And gurning. And going “bugger!” a lot. Forget Me Not provoked that reaction not because it’s bad but because it’s terrific, in fact frequent cussing is a sign I like a game; if I don’t I tend to just sigh and switch it off. Loosely based on the old Commodore 64 title Crossroads and incorporating aspects of both Pac-Man and Rogue it’s one of the most addictive little games I’ve ever played and, like all truly great videogames, reveals more and more features and subtleties the longer you play it. There are rumours that it will be available soon for PC and Mac as well as the iThings. Can’t wait! The other gaming recommendation is much older but was brought to my attention due to something far more recent. 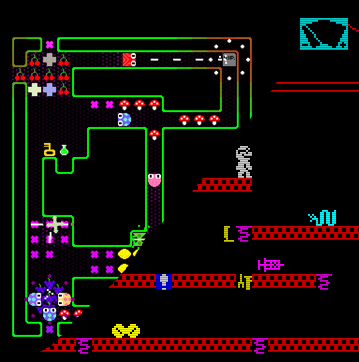 Frank N Stein is an elderly platform/action game for the ZX Spectrum clearly drawing inspiration from a certain 19th century novel and which, until very recently, had a few bugs which made it impossible to pass certain levels. There’s been a recently push amongst the 8-bit community to fix these geriatric gaming bugs and Frank N Stein, nearly 30 years after its original release, now has a patched-up version available. About time too as it’s a brilliant, varied action game that forces to player to plan and think at the same time as dodge monsters. I’ve provided links to both games in the text above (you don’t need to be Sherlock Holmes to find them) so click away. As a way to end this article I’ll mention that I recently helped-out in the bug-fix stakes by playtesting the newly-fixed version of N.E.I.L. Android which I can now confirm is completable but which I can also state is utter crap. "Ice cream!" "Ooh, it'll cost yer mate!" Hello, readers! Yes, I know it’s been bloody ages since I posted anything here but I’ve been quite busy and, to be honest, when I’ve not been busy I’ve just been lazy. So, as a stop-gap until the next proper article, here’s a couple of recommendations. 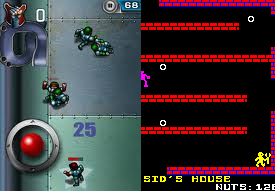 First off, despite not owning an iProduct I finally managed to get a quick game of the new iThing conversion of the wonderful Speedball 2 (well, the free demo version anyway) on my brother’s iPhone. First impressions are excellent – the game has taken an “ain’t broke, don’t fix” approach to everything about the game and although the graphics have been scaled up to the higher iThing resolution from the Amiga/ST originals they are still instantly recognisable and barely changed. The same, thankfully, seems to be the case with the gameplay. Control is a little different. The developers have opted for two different control methods: tilt control and virtual thumb stick with both methods utilising a tap of the screen instead of a fire button. I didn’t try the tilt control although my brother did and seemed to find it a little tricky. The virtual thumbstick seems better suited to fans of the original game and manages to be reasonably easy to use and responsive, although it’s not as good as a proper controller. Despite this, it’s still better than it sounds (a nice touch is that the virtual stick appears wherever you put your thumb meaning that you’re not “confined” to a single part of the screen) and is arguably the best we can expect from the iThings until someone develops some kind of tiny physical thumbstick for it (if they haven’t already) and based on my brief usage, most players will probably get used to it after a few games. Speedball 2 Evolution currently retails for US$2.99 (I can’t be bothered to convert that into pounds/euros but it’s doubtless not much) and if you wait around it’ll probably be offered at an even lower price sometime in the future. Definitely worth it if you like the original, and if you’re worried about the controls download the free demo version and see how they feel. And, yes, it has “ice cream ice cream”. The other recommendation is a series of platformers for the ZX Spectrum. All three, featuring the excellent Sid Spanners and his massive tool (matron!) and going by the titles Sid Spanners, Sid Spanners 2: The Slackening and Sid Spanners 3: The Nuthouse , were programmed by the mysterious Digital Prawn and are simple, but slick and well-designed, variants on the Manic Miner/Jet Set Willy template. Definitely worth a shot if that’s your kind of thing and you’ve managed to finish Horace in the Magic Woods. Ages ago a small fuss kicked-up on the World of Spectrum forums (shurely shome mistake). For those who don’t know, the internet’s premier Speccy site has a policy of contacting copyright holders and asking for permission to host their software for free, if permission is not given then the software is “denienced” and unavailable. Occasionally, they are contacted instead, usually with a “cease and desist” request. This happened a couple of years ago when Odin contacted WoS and demanded their games be removed from free download. The reason given was that they were working on new versions of the games for mobile phones. Cue annoyance and inevitable disbelief vis a vis the “mobile phone” versions on the forums. Except, what’s this? Why, it’s Odin’s wonderful Nodes of Yesod for iProducts. Developed by Steve Wetherill, one of the programmers of the original game, this new version has two modes: classic (ie looks and plays like the 8-bit original) and an updated version with new features and graphics. Although the redrawn update is more 16-bit era than modern it’s still quite nice and making this fun and colourful (if rather frustrating) classic available for iPhones/Pods/Pads can only be a good thing. It’s just a shame they didn’t include the classic sound as well, I miss the fuzzy “Nodes of Yesod from the Odin Computer Graphics team” at the start. If you need convincing there’s a “light” version available for free and the full game playable online for free in a browser. Wetherill has also stated that an Android version is in the pipeline. So, er, thanks guys. And sorry for the cynicism. The Official Nodes of Yesod site can be found here.